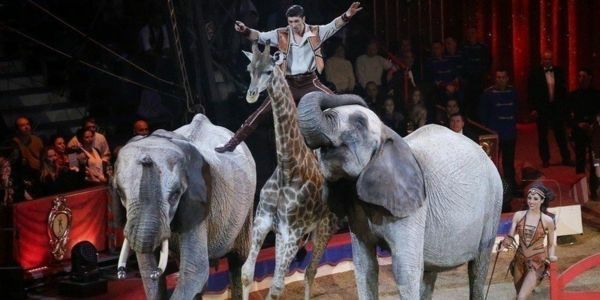 France and Monaco: Ban The Use Of Exotic Animals In The Circus!! End This Atrocity!! The Monte-Carlo International Circus Festival takes place every year in Monaco and it is an absolute atrocity! Dozens of exotic animals including elephants, zebras, and giraffes, are forced to perform tricks and run around in circles to entertain an audience. This is horribly degrading to the animals and it's time to end this exploitation and abuse. All animals, especially elephants, suffer terribly in the circus industry. They lead lives of sadness, constant fear, and despair. Animals forced to perform in a circus are deprived of physical and social needs, confined in small spaces, spending excessive time shut in trailers and train cars. These animals often demonstrate heartbreaking abnormal behaviors such as rocking, swaying, and pacing - indicating they are in distress and not coping with their abusive environment. Evidence from numerous animal-rights groups shows these animals are forced to perform tricks through physical violence, fear, and intimidation. The European Union has left it up to the individual member nations to ban exotic animal acts. Most European countries have already banned the use of wild animals in circuses, but France is one of the few who still allow this cruel exploitation to continue. Monaco is a sovereign city-state (microstate) on the French Riviera. Please join me in signing this petition and saying to France and Monaco: "End This Atrocity!" We demand that French President Emmanuel Macron ban exotic animal acts! !